Our lawyers have extensive experience and can offer tax counseling for companies and individuals. If you as a client need help structuring and organizing to develop or acquire companies or to acquire and hold real property and other investments we can help you. Corporate tax or company tax refers to a tax imposed on entities that are taxed at the entity level in a particular jurisdiction. Such taxes may include income or other taxes. The tax systems of most countries impose an income tax at the entity level on certain type(s) of entities (company or corporation). Many systems additionally tax owners or members of those entities on dividends or other distributions by the entity to the members. The tax generally is imposed on net taxable income. 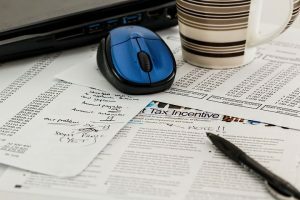 Net taxable income for corporate tax is generally financial statement income with modifications, and may be defined in great detail within the system. The rate of tax varies by jurisdiction. The tax may have an alternative base, such as assets, payroll, or income computed in an alternative manner.